Come spend some time with us getting some ideas on how to lay out and construct your own unique memory/t-shirt quilt. This class will focus on how to use your materials, prep them and guidance/ideas on composing your quilt. Tips and guidance will also be provided on the construction of the quilt. 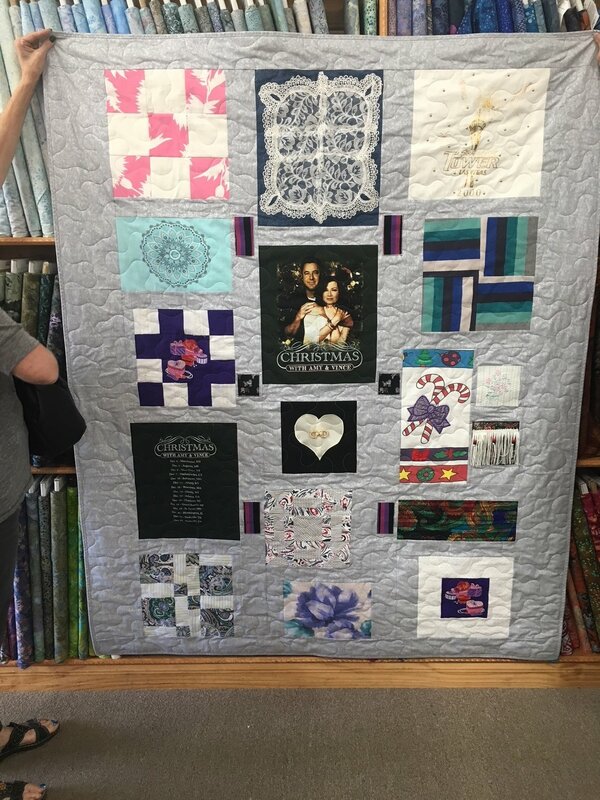 This class will cover making the top of the quilt and not the final quilting. Please email aprilkoester@gmail.com with any questions.